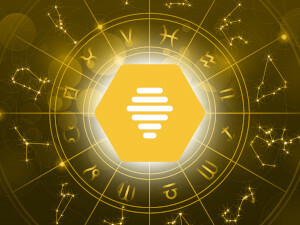 According to an article in Pretty 52, dating app Jauma used data from its 40 million users to see if certain astrological signs attract more dates. Apparently they do, with Scorpios receiving the most likes (12 percent) and Libras coming in second at 10 percent. Sagittarius unfortunately made the bottom of the list at 7 percent. Critics point out that daters might be limiting themselves by ruling out certain astrological signs from their match list. While it’s true that on the surface, disqualifying someone from your match list because he’s a Capricorn seems superficial, and you could be missing out on a great relationship. But there are many filters people use in the matching process that seem superficial – such as placing restrictions on height or weight, or filtering matches because of a particular interest such as liking video games or being a Star Trek fan. Is filtering by astrological sign any different from filtering out the folks who are Lakers fans when you prefer the Spurs? While preferences are important when it comes to connecting, most experts say that daters should keep their options open. Analyzing a potential match by their astrological sign is an interesting exercise – but if you filter them out before meeting, you might be missing out. For more on this service, please read our Bumble dating app review.